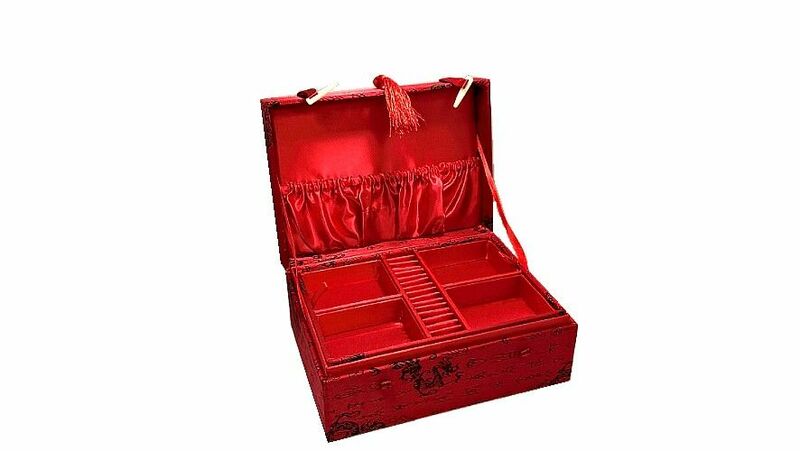 A beautifully decorated wood frame box overlaid with a deep red brocade with silk embroidery depicting dragon and calligraphy design on the lid and sides. 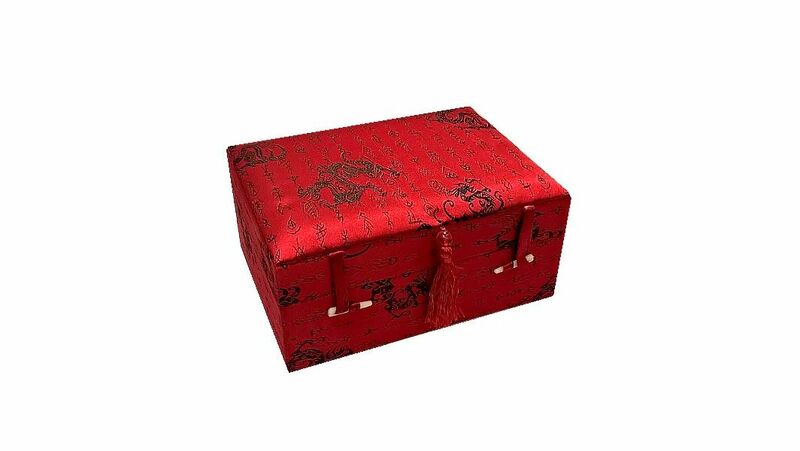 This is a really unusual box and we are pleased to include it in our "Oriental" collection. 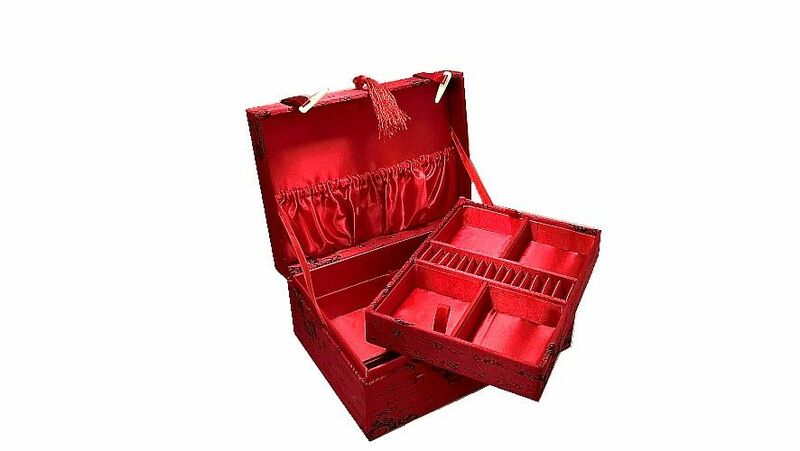 There are two toggles that can be used to keep the jewellery box lid closed down and there is a bead and silk tassle for decoration at the front. When the lid is lifted the inside reveals a material lined tray separated into compartments for different pieces of jewellery. This tray can be lifted out to reveal more space for jewellery. The inside of the lid has a ruched material pocket sewn in for further storage of trinkets etc. Please note this is not a musical jewellery box. The jewellery box measures 22 x 16 x 9cm. Please Note This Box Is Not Fitted With A Musical Movement It Is A Jewellery Box Only.